Host were very very helpful, if something go wrong he came to us to fix it, and prepare great tips about what is worth to see in Rijeka and whole Kvarner region, where You should go to eat, and have some tourist informators about beaches nearby and map of Rijeka- the best tip were to go to Opatija by bus(simply and cheap type of traveling around City). Everything to prepare dishes were in apartment. Students and younger people will enjoy the 50Meg broadband speed and proximity to the university. Beautiful apartment 3 minutes walking distance from the Korzo (Rijeka center). It was clean, comfy and relatively cold considering the summer heat. Definitely recommend the stay! la posizione logistica e la possibilita' di parcheggio oltre ai negozi e centri commerciai vicini. Удобное расположение. На пешую улицу в самое сердце города минт10- 15 ! Рядом много баров, магазинов, платная парковка!Есть кондиционер! Прекрасный хозяин, внимательный и отзывчивый!!!! Eden naših prodajnih hitov v mestu Rijeka! 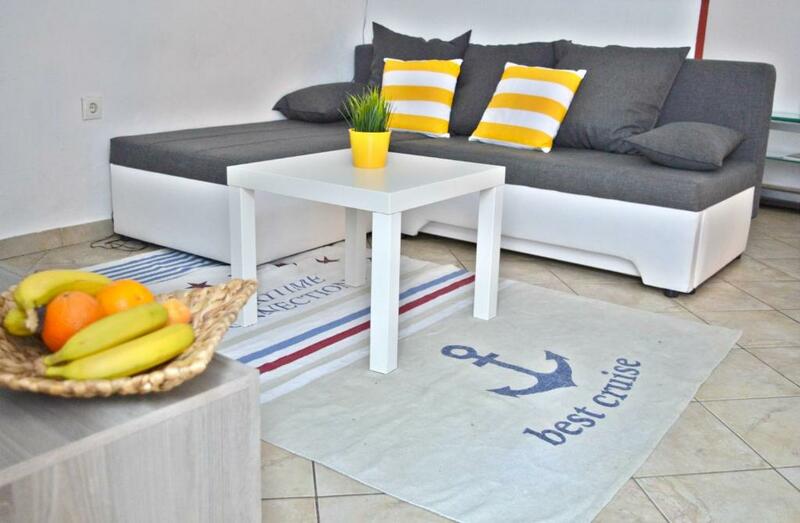 Set 600 metres from The Maritime and History Museum of the Croatian Littoral in Rijeka, this apartment features free WiFi. The apartment is 1 km from The Croatian National Theatre Ivan Zajc. The kitchen has an oven and a microwave. 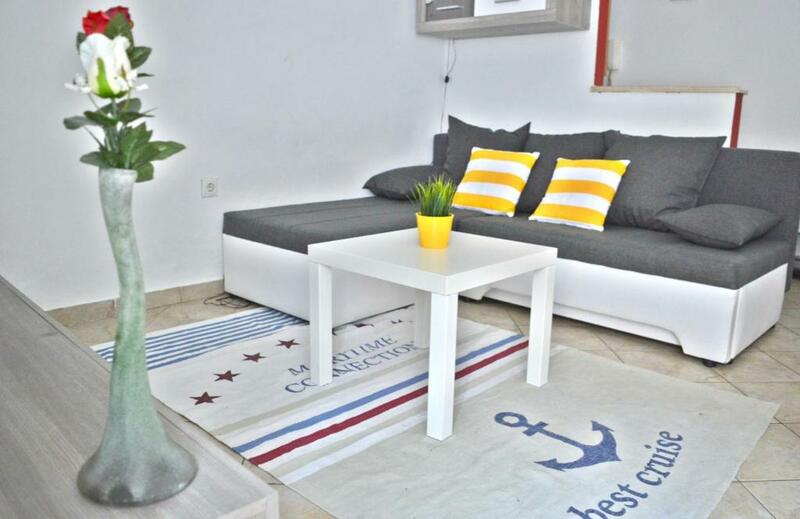 Towels and bed linen are available at Aquamare Apartment. Rijeka Main Bus Station can be reached in 300 metres as well as nearest restaurants and bars. Beaches are 2 km away. 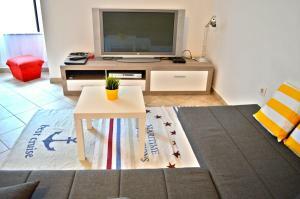 The nearest airport is Rijeka Airport, 16 km from Aquamare Apartment. Aquamare Apartment gosti Booking.com uporabnike že od 2. jul. 2016. 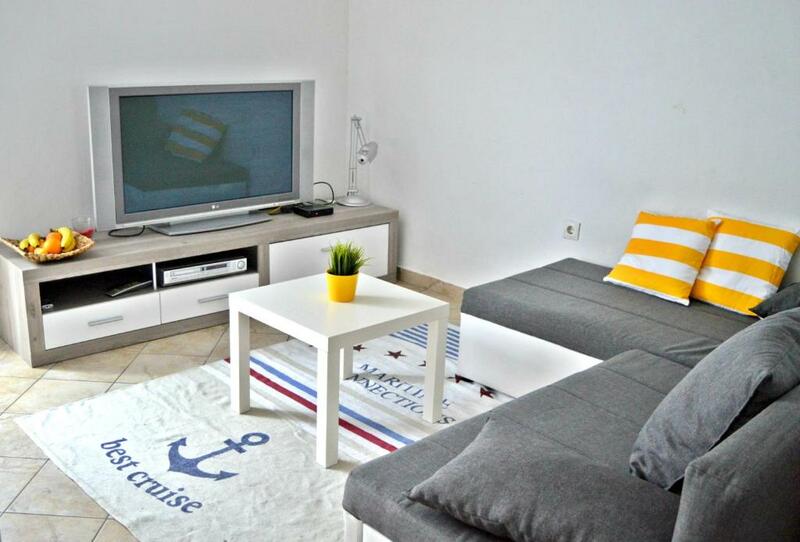 Kdaj želite prenočiti v nastanitvi: Aquamare Apartment? Apartma vključuje predel s sedežno garnituro. 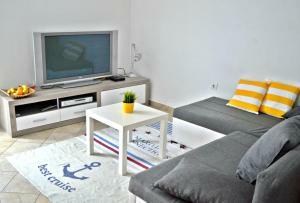 Comfortable fully furnished apartment, a central convenient location, in small pedestrian street. The apartment is pleasantly cool even in the hottest out, it is ideal for a pleasant stay and peacefull sleep. A few minutes walk from the old town, the main bus / train station. Right where you need to be. It is easy stroll from the center, without any effort and without stairs (apartment is on the ground floor). All that you need: supermarkets, small market, the city bus station, pharmacy, emergency service, the dentist, restaurants, fast food, bakeries, coffee bars, banks, ATM, currency exc., etc. are within 1-2 minute walking distance from apartment. Unlimited and fast access to WI-FI (to 50 Mb/s), airconditioning/heating unit. We don't charge it. 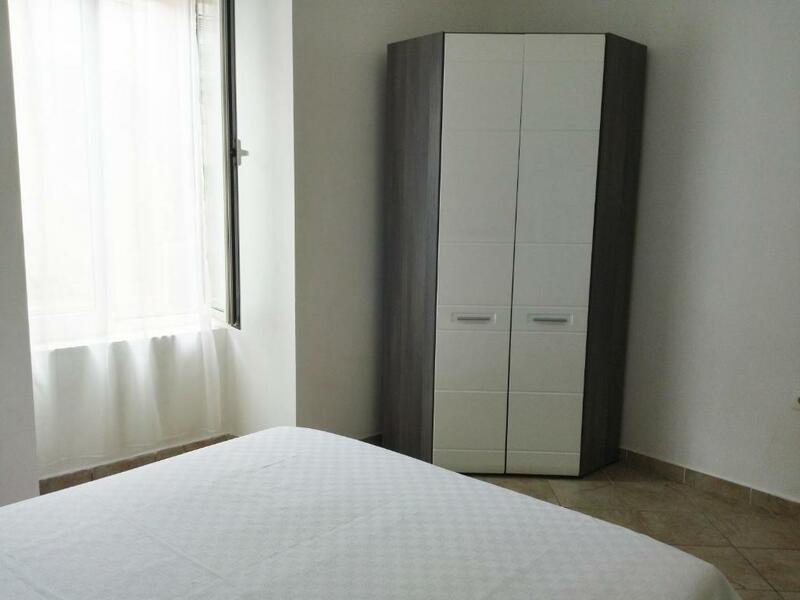 Size of apartment is 40 m2-open kitchen with living room, separate bedroom and bathroom. Public parking (with payment): on the the street, just one block away. Also guarded parking (with payment) is just 80 m away from apartment. Hišni red Aquamare Apartment sprejema posebne zahteve - dodajte jih v naslednjem koraku! Gostje morajo mirovati med 22:00 in 7:00. Nastanitev Aquamare Apartment vnaprej obvestite o predvidenem času prihoda. To lahko med rezervacijo vpišete v okence za posebne zahteve ali pa kontaktirate nastanitev. Kontaktni podatki so na voljo v potrditvi rezervacije.